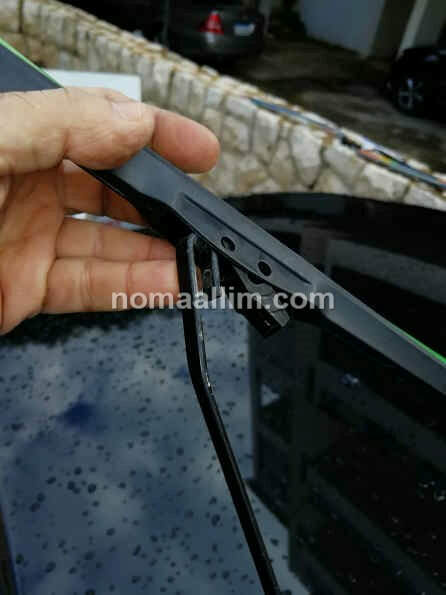 Price of new windshield wipers vary from $12 to $50 depending on the many makes available in the market. The cheapest are not necessarily bad even if they end up having a shorter life since it is so easy to replace them anyhow. 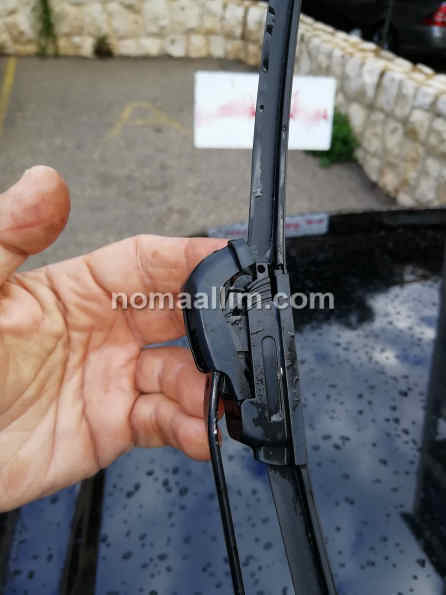 NOTE: Wipers of a Dacia / Renault Duster are shown here but replacement of windshield wipers is identical or similar on almost all vehicles of all makes and models. 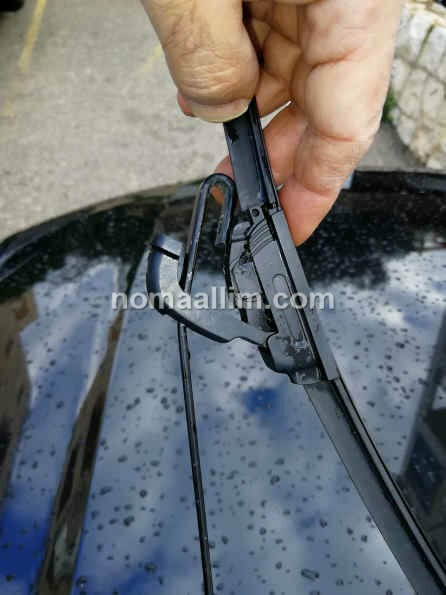 Open the holding clip and push the wiper out of the steel stem. 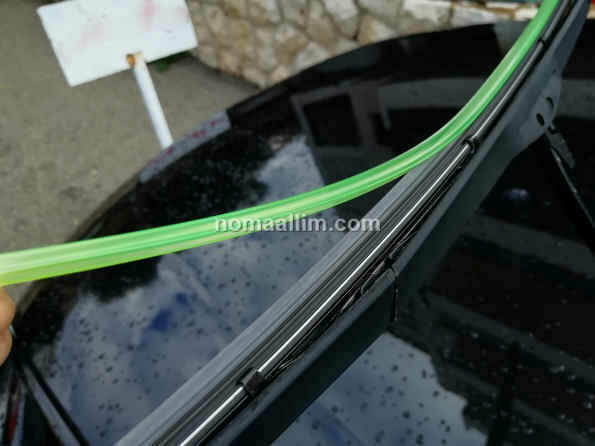 The best is to buy universal wipers that fit to any vehicle and take advantage of the low price. 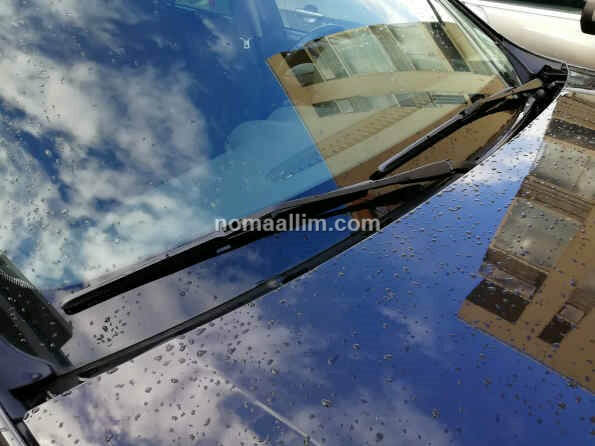 Make sure however you buy wipers of the correct length i.e. 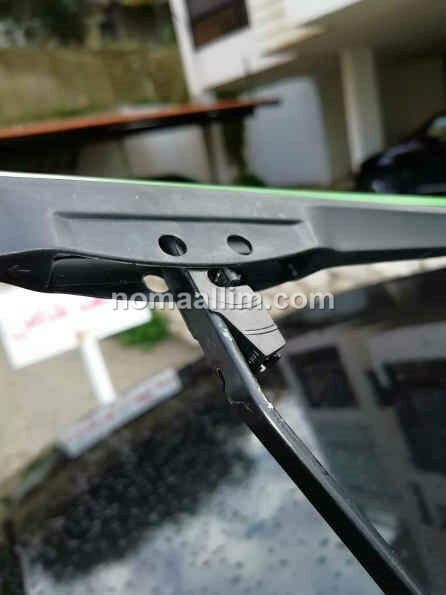 one wiper of 550 mm (driver side) and another of 450 mm for a Dacia or Renault Duster. Alternatively, you may fit 2x 500 mm wipers. 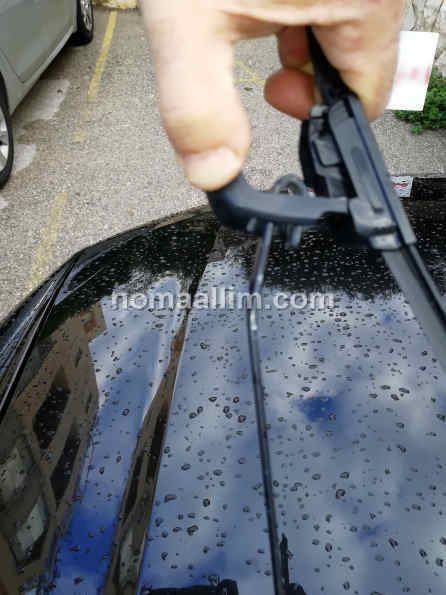 Introduce the new wiper as shown then push it back into the steel stem until you hear a "click". 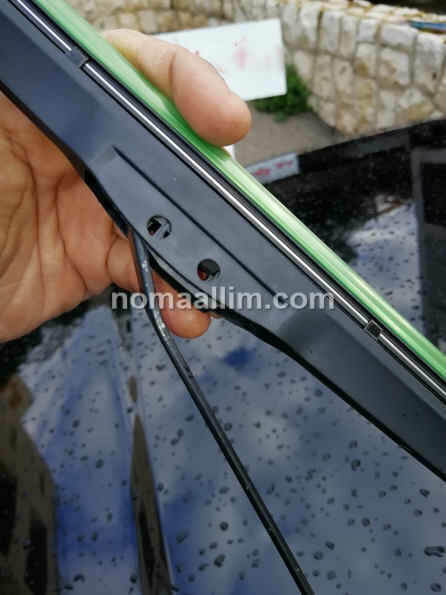 Peel any protection film and enjoy your new Duster wipers and the increased visibility.